What does Dan Scavino do all day? 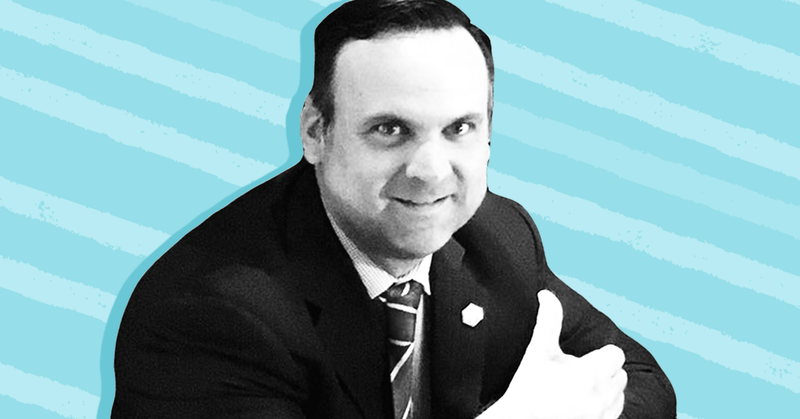 In a profile of White House social media director Dan Scavino published in The New York Times Magazine, writer Robert Draper seems puzzled at Scavino's role in the Trump campaign and administration. Throughout the piece, Draper attempts to answer the question: What does this guy do all day? Scavino was another of the “originals” on Trump’s 2016 campaign, and I saw him numerous times on the trail, but I could never quite ascertain what he was doing to further his boss’s presidential ambitions. Aggressively nondescript, Scavino could often be seen in a suit at the side of the stage, taking photos of the immense rally crowds with his iPhone and later, while scowling at his laptop aboard Trump’s 757, posting the images to Facebook. … Scavino’s sole task, from what I could tell, was to document Trump’s popularity. Draper spends the rest of the article trying to grasp Scavino’s role and why it matters. He comes to the conclusion that Scavino’s most important job is minding President Donald Trump’s Twitter account. The only official function Scavino filled that might justify his salary and his prime White House real estate was detailed in the lawsuit’s [over Trump blocking people on Twitter] stipulation of facts. “Scavino,” both parties to the lawsuit agreed, “assists President Trump in operating the @realDonaldTrump account, including by drafting and posting tweets to the account.” No one else, besides Trump himself, had access to the most consequential and controversial social media account in the world. Having access to the president’s Twitter feed isn’t a job; it’s a sign that you’re good at your job. Trump’s Twitter account is arguably his most valuable digital asset. Scavino has access because he’s a trusted member of Trump’s administration. Draper does eventually get around to describing Scanvino’s day-to-day job duties -- reaching out to Trump’s base online and serving as the keeper of those relationships. But Draper doesn’t recognize both the actual labor involved in Scavino’s operation and its value to the administration and Trump personally. And it’s important for anyone covering Trump (as well as anyone running against Trump and the GOP) to understand not just Scavino’s job but why his work matters. Draper’s profile misses both. Scavino’s outreach isn’t an unusual occurrence. The Obama White House devoted staff resources to the same task, as has most every major presidential campaign since 2004. Online outreach is a crucial part of any digital operation. Given that Trump needs to hang on to his base perhaps more than any president before him, it makes sense that Scavino’s White House role is prominent. I don’t write this to defend him as a person. After all, Scavino is a guy who, through his personal Twitter feed, amplifies conspiracy theories and harasses others. Scavino is not the kind of person I want paid with the taxpayer dime. But it’s important to understand what his job is -- and that Scavino is quite good at what he does. Per the profile, Scavino is the “conductor of the Trump Train.” Draper got the quote right but failed to consider what it meant, even as he described the train as a “juggernaut.” Scavino’s role isn’t just to craft tweets for Trump. He’s keeping the Trump Train’s passengers on board. In a recent profile, Fox host Sean Hannity named three right-wing media figures from the second half of the 20th century -- Bob Grant (1929-2013), Taylor Caldwell (1900-1985), and Barry Farber (1930-present) -- as inspirations for his own political commentary. 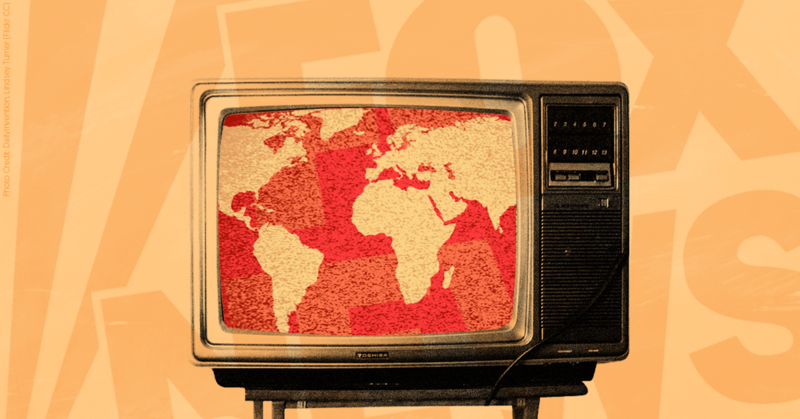 A Media Matters investigation into content produced by Grant, Caldwell, and Farber revealed a trove of bigotry; Grant “routinely” called black people “savages,” Calwell had a political allegiance with “one of the most virulent anti-Semitic propagandists in the United States,” and Farber is a self-professed "birther" who pushed conspiracy theories about former President Barack Obama. 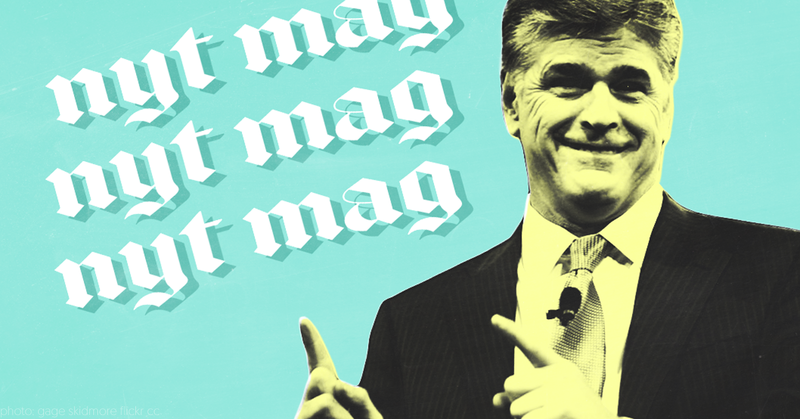 Toward the end of his 8,000-word New York Times Magazine profile of Sean Hannity -- after touching on image-softening tidbits like how the Fox News host and talk radio host who was once fired for homophobic vitriol says he now has “gay friends” and the revelation that Hannity may have come to believe some of the women who say they were sexually harassed by Roger Ailes after trashing them publicly -- contributing writer Matthew Shaer considered the question of whether it’s possible the conservative media megastar and close adviser to President Donald Trump is actually a paranoid conspiracy theorist. 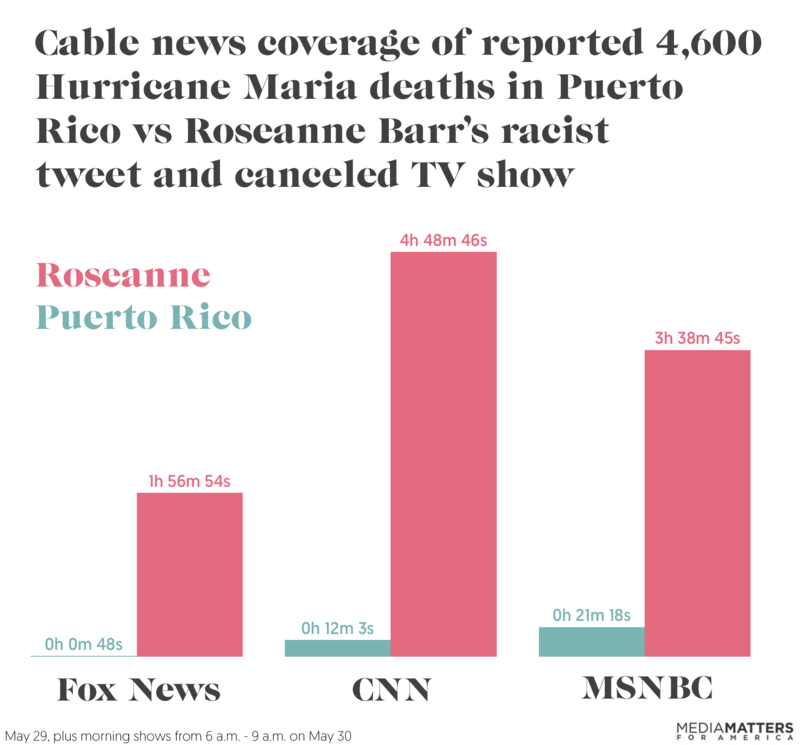 “The problem for Fox News,” Shaer wrote, “is that while Hannity has risen to become the top ratings-earner of the nightly lineup, he is also a figure prone to barreling headfirst into the murky territory between opinion and out-and-out conspiracy theorism.” After highlighting a Vox.com study that found Hannity to be the “media’s top conspiracy theorist” and quoting Hannity rejecting that finding, Shaer appeared to agree with the host. This is not a conclusion that can survive the slightest scrutiny from a regular observer of Hannity’s work. In fact, it is belied by the profile, which depicted Hannity promoting at least three conspiracy theories: that President Barack Obama needed to release his birth certificate to prove he was born in the United States, that Hillary Clinton pushed through the purchase of a uranium mining company by Russia in exchange for donations to the Clinton Foundation, and that a murdered Democratic National Committee staffer may have been killed because he supposedly gave the group’s emails to WikiLeaks. Those are only a handful of the numerous conspiracies and hoaxes Hannity has pushed on his radio and television programs over the years. In fact, Hannity’s entire oeuvre for much of the Trump presidency has been built around a massive, all-encompassing conspiracy theory: That a “Destroy Trump Alliance” composed of the press, the “deep state,” and critics from both major political parties have united in a coordinated effort to remove the president from office based on what the Fox host deems a “black-helicopter, tinfoil-hat conspiracy theories about so-called Trump-Russia collusion.” Hannity has detailed this theory in dozens of shows, warning against the depredations of the “deep state” and the “deeply corrupt” investigation by special counsel Robert Mueller. Hannity’s conspiracy theory has several key benefits: It allows Hannity to delegitimize any possible sources of negative information about the Trump administration by tying them into the plot; it encourages his viewers to stick with the president because he is beset by such malicious foes; and, perhaps most importantly, it allows Hannity to shift attention from the possible malfeasance Mueller may discover in his investigation to the question of whether Mueller himself is a criminal running an illegitimate probe who must step down or be fired , as the Fox host has demanded dozens of times. The Times appears to have missed all this. Indeed, for someone claiming to be steeped in Hannity’s work, Shaer appears to have largely ignored Hannity’s discussion of the Russia investigation, perhaps the most important story of the year. The profile does not mention Mueller at all, and references Russia only a handful of times. A few of the dots are there -- the Times writer mentions, for instance, that Hannity’s Seth Rich theory was intended to undermine the case for Russia’s role in hacking the DNC to bolster Trump, and that Hannity views the Uranium One conspiracy as a way to “boomerang” the Russia investigation on Democrats -- he just doesn’t quite pull them together. And given how wild Hannity’s claims have become -- and the potential results they might have if his most powerful fan were to act on him -- that’s a big miss. Take last night’s edition of Hannity. Monday morning, ABC News reported that the lawyer for Michael Flynn, who served as Trump’s national security adviser until he was forced from office following revelations about his conversations with Russian officials, had met with members of Mueller’s team, potentially to discuss a plea deal which might include Flynn testifying against the president or top White House aides. Mueller reportedly has amassed enough evidence to charge Flynn with federal crimes, and Flynn’s role in several key interactions involving Trump associates and Russia could make him an invaluable witness. SEAN HANNITY: How could this happen in the United States of America, Gregg? This is not a banana republic here. GREGG JARRETT: Because the Department of Justice, and particularly the FBI and Comey and Mueller at the FBI, have turned into this renegade rogue deep state that operates under their own rules. HANNITY: Do they really -- they don't want Manafort. They don't want General Flynn. They want Trump. JARRETT: Yes. And what I worry about are ruthless prosecutors who suborn perjury. What they do is they make promises and threats to defendants. You’re gonna spend 10 years behind bars unless you sign this statement and the witness says, “but that's a lie,” and the prosecutor doesn't seem to care. HANNITY: Or I’m gonna go after your son. JARRETT: It's extortion. It's bribery. When they do it it's legal. When you and I do it it's illegal. It's got to stop. That’s the message going out to Hannity's millions of viewers, perhaps including the president: Trump is being persecuted by an illegal cartel that will do anything and lie to anyone to force the innocent Trump from office. The only plausible deniability Hannity has is that which people like Shaer are willing to grant to him. A so-called abortion reversal procedure lacks sound scientific support, but that hasn’t stopped anti-abortion groups from promoting it to inaccurately suggest patients inherently regret their decision to have an abortion. As anti-choice groups increasingly lobby for the elimination of abortion access, media often treat anti-choice pseudo-science, like abortion reversal, as the “other side” of the issue. But five media outlets recently provided comprehensive debunks that show how their counterparts should be reporting on abortion reversal and the junk science behind the procedure. Over the past few weeks, media outlets have pointed out the potential impact of LGBT voters in both swing states and local races in the 2016 election, highlighting the “biggest and most sophisticated get-out-the-vote effort ever” organized by the nation’s largest LGBT advocacy organization, the Human Rights Campaign, and noting that LGBT voters “might help tip the scale red or blue.” Journalists have also focused on the swing state of North Carolina, where anti-LGBT law House Bill 2 (HB 2) has the potential to be a “critical driver” of voter turnout. NY Times Magazine's Robert Draper: Trump Has Started A "War" That "Has Fractured The Conservative Media"
Media figures have repeatedly claimed that presumptive Republican presidential candidate Donald Trump is “pivoting” to the general election every time he does something that they think makes him look or sound “presidential.” Media’s constant search for Trump’s “pivot” effectively whitewashes all of the racist, sexist, slanderous, and conspiratorial attacks Trump has doled out, and mainstreams the idea that Trump’s past diatribes can be forgiven so long as he assumes a veneer of conventional, tempered behavior. GOP leaders condemned Trump’s repeated “offensive” suggestions that President Obama had sympathies for terrorists, but changed their tune once Trump delivered his next teleprompter-guided speech following the mass shooting in Orlando, FL. Some media figures said Trump sounded “more presidential” and was “behaving like general election nominees behave,” and Trump’s slanderous accusations against the president quickly fell out of the news cycle. The “pivot” claim, which has repeatedly surfaced since at least February, has also helped wash away many of Trump’s past actions and comments: his doubling down on his proposed Muslim ban, his accusations that Sen. Ted Cruz’s (R-TX) father was involved in the John F. Kennedy assassination, and his questioning of presumptive Democratic presidential nominee Hillary Clinton’s faith. But really, how do you pivot away from saying that Mexicans are rapists? (Will he negotiate “great deals” with more moderate Mexican rapists?) If your campaign is a cult of personality, how can you modulate that personality and still have the cult? In Trump’s case, a “pivot” would constitute a complete overhaul of his very essence. The "pivot" narrative has become a reset button, allowing media to excuse or forget all of Trump’s past rhetorical assaults. Media figures are essentially condoning all of his racism, sexism, and conspiracies, so long as he sounds and acts subdued and presidential. Image by Dayanita Ramesh and Sarah Wasko. A New York Times Magazine profile of the Obama administration’s push to cement the Iran nuclear deal baselessly claimed that President Obama and a top White House aide, Ben Rhodes, “largely manufactured” a narrative about the deal and “actively” misled the public to win support, despite reports to the contrary. The author, David Samuels, also failed to disclose his past criticism of the Iran deal and advocacy for bombing Iran. MSNBC's Andrea Mitchell Questions Whether A Male Politician Would Get A Magazine Cover Like NY Times' "Planet Hillary"
Author Stephen Jimenez's suggestion that The New York Times Magazine killed a 2004 story he had written about the murder of Matthew Shepard because it was too politically sensitive is false, according to the former Times editor who worked on the story. Jimenez claimed in the story -- and in a new book -- that Shepard, a gay University of Wyoming student murdered in 1998, was not killed in an act of anti-gay hate, but instead as a result of a drug-induced rage. Shepard's murder became a rallying call for the LGBT movement; a hate crimes prevention law named after him was signed into law in 2009. Paul Tough, who was an editor at the magazine in 2004 and the one Jimenez says reviewed his piece, said the spiking of the story had nothing to do with politics. It just wasn't good enough. 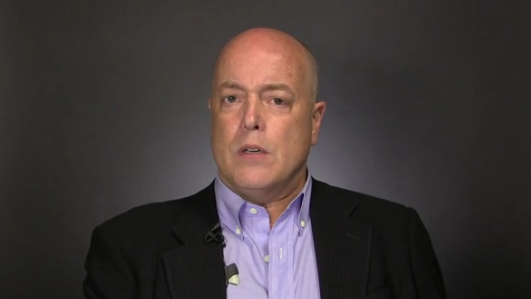 "My recollection is definitely that it was not killed because it was politically sensitive, but that the story just wasn't there for all of the reasons that stories sometimes aren't there," said Tough, now an author himself and Times magazine contributor. "I remember being really interested in the idea and I think the Times Magazine doesn't shy away from controversy and we're interested in new takes on things and the only reason we had assigned the story was this new idea." "But for whatever reason," Tough added, Jimenez "was a person I think who didn't have a lot of experience in long-form magazine writing. And so the story never got to the level where we could publish it ... it was not killed for political reasons at all." Shepard truthers in the right-wing media have cited Jimenez's new book, The Book of Matt: Hidden Truths about the Murder of Matthew Shepard, to assail hate crime legislation and the larger push for LGBT rights. But Jimenez's argument is tainted by its reliance on wild extrapolation, questionable and often inconsistent sources, theories that critics of his work are engaged in a "cover-up" of politically sensitive truths, and the dismissal of any evidence that runs contrary to his central thesis.